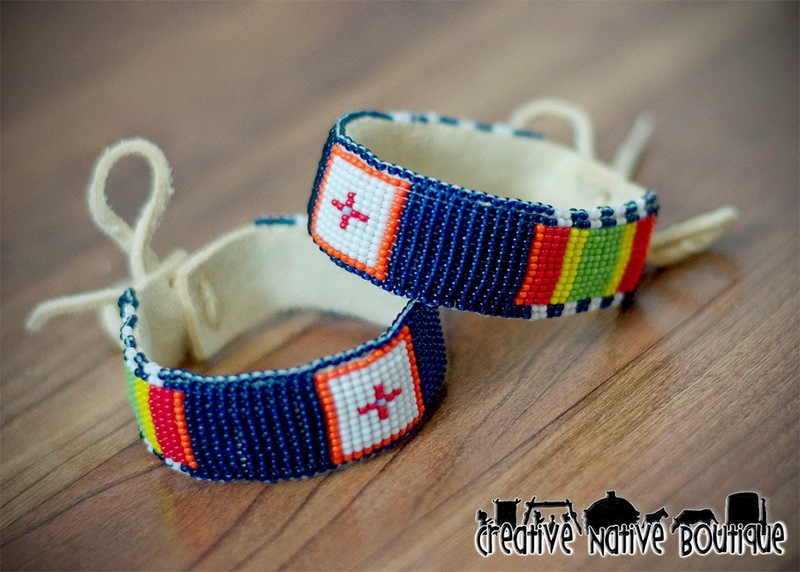 I just finished this custom order: 2 loom-beaded bracelets with custom design. 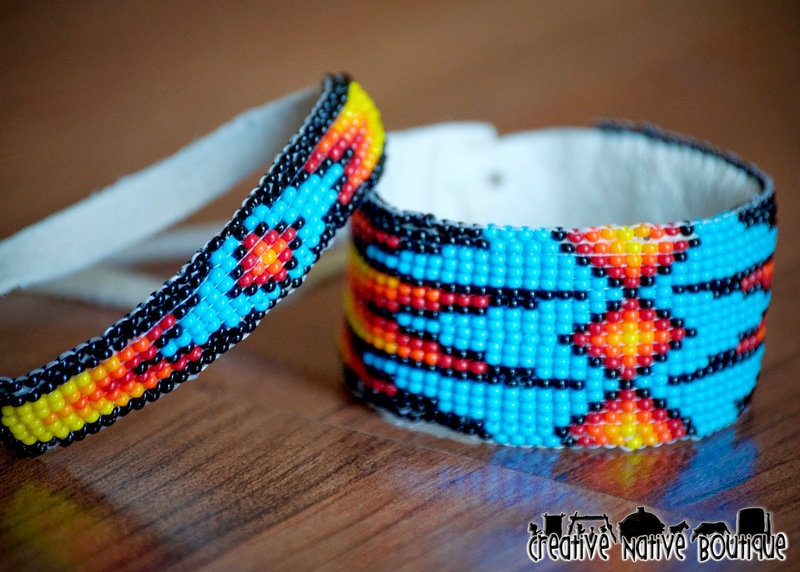 They turned out really nice and are on their way to NY! 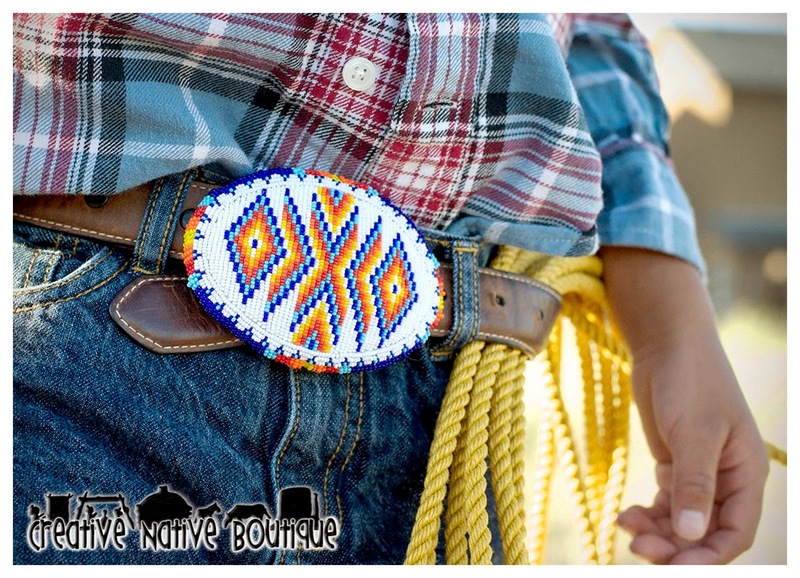 I recently finished this beaded belt buckle for my son, but my dad liked it so much I ended up giving it to him for Father's Day! 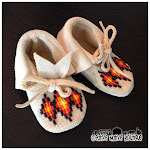 So I'll be starting a couple new ones for both my sons. It was fun to work on and I was happy with how it turned out. 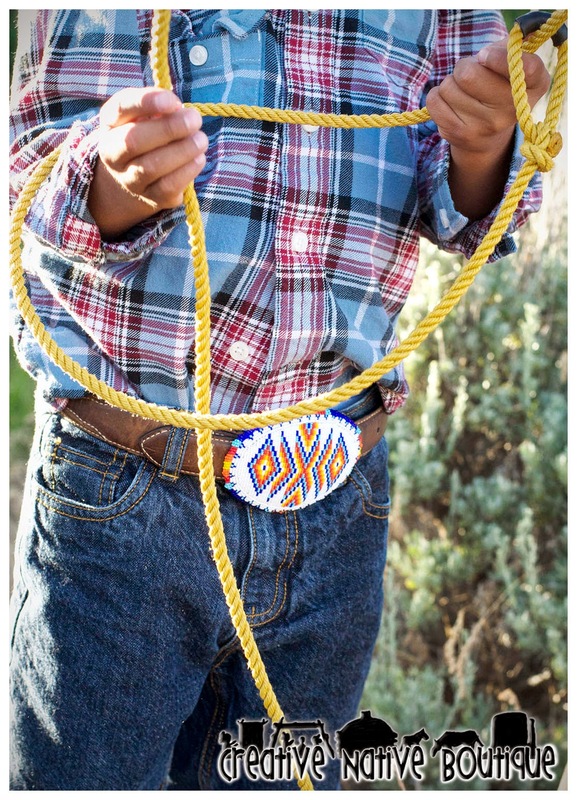 Perfect for all those Indian Cowboys and Cowgirls! 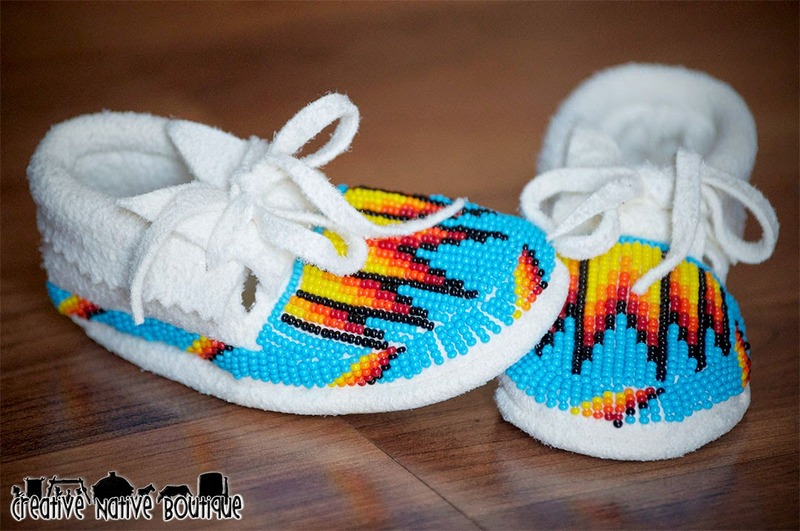 For a new Dad and Baby Boy! 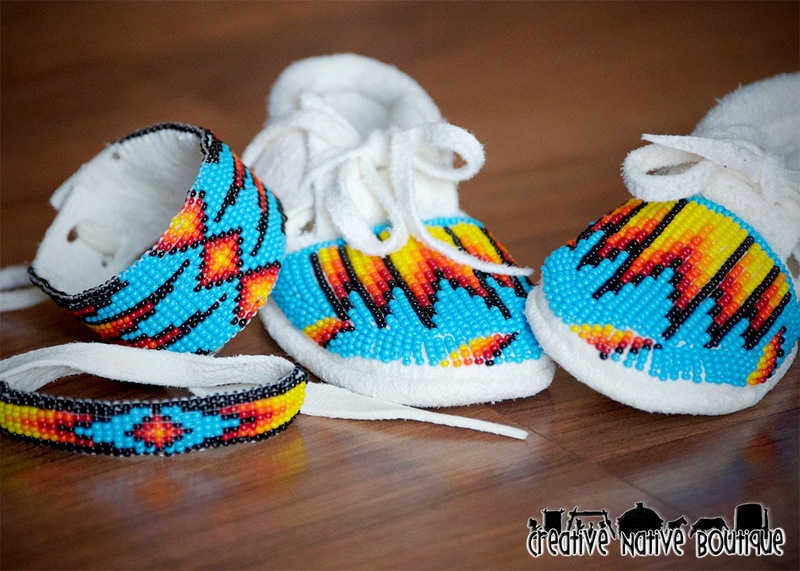 I just finished these matching bracelets and fully beaded baby moccasins for a Father and Son. I love how they turned out! 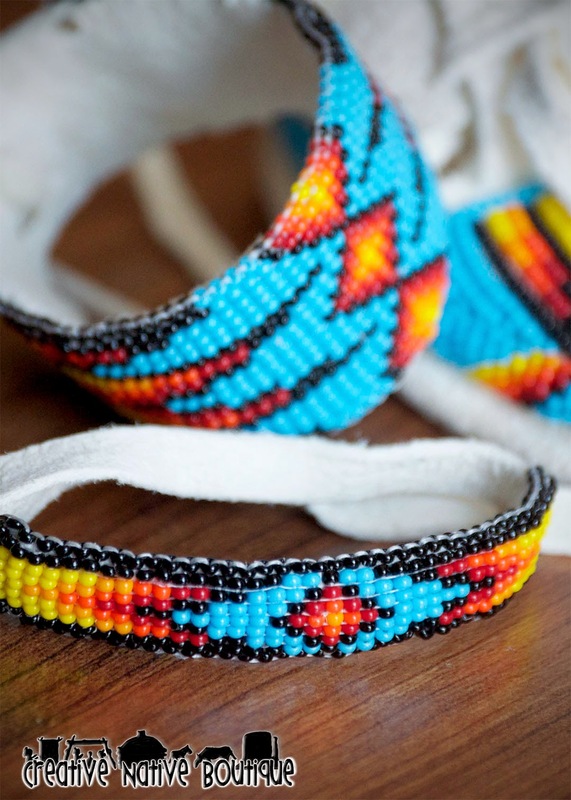 The colors are so striking and beautiful. 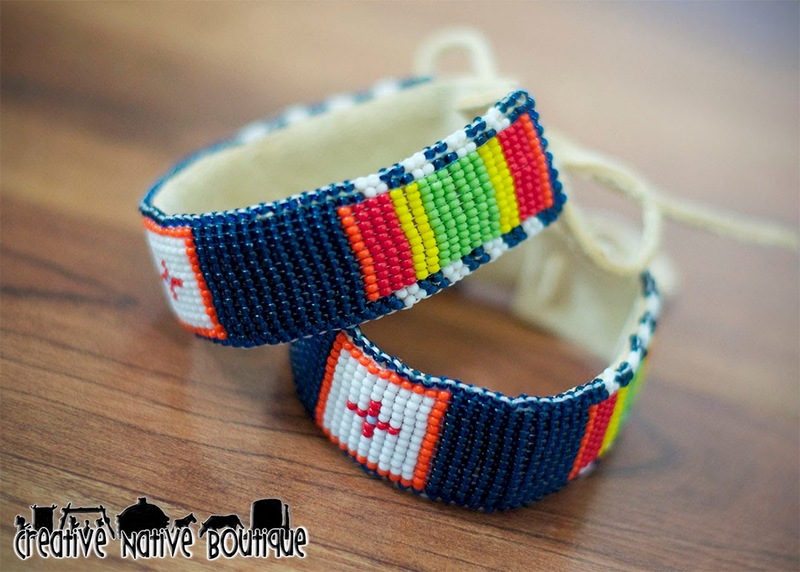 These stunning bracelets are loom beaded and sewn on to white deer hide. 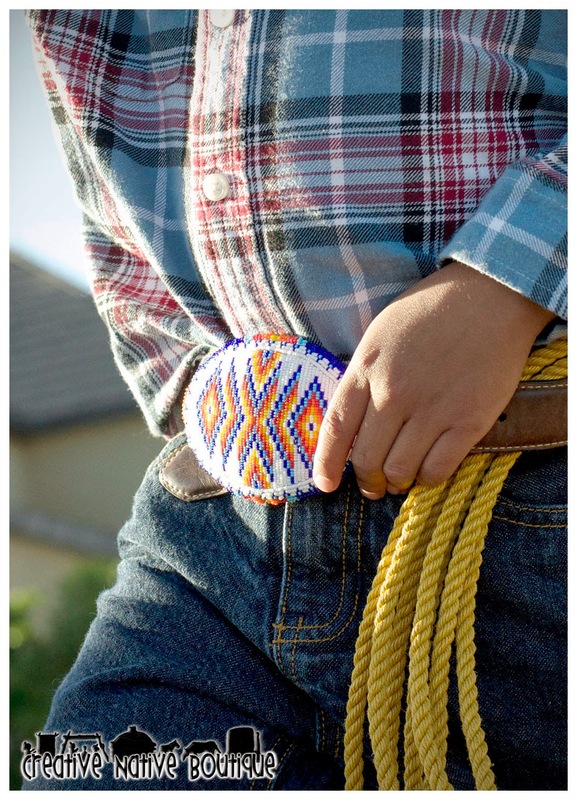 Since they tie, they are adjustable to fit any size wrist--and even a growing baby! 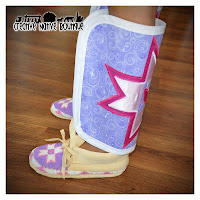 The moccasins are fully beaded with a Shoshone-Bannock design. They are a size 2.